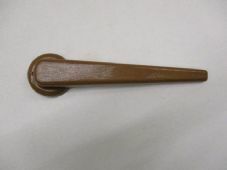 A brown replacement lever for recliner chairs and recliner sofas. The lever fixes onto the square metal bar that protrudes from the chair. 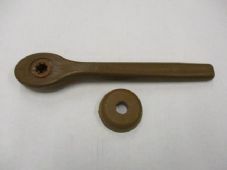 A brown replacement lever for recliner chairs and recliner sofas. The lever fixes onto the star shaped metal bar that protrudes from the chair.